Kneel Before No God T Shirt (Women’s) is a special model in our Satanic Clothing Collection and Apparel Store. Kneel Before No God T Shirt is the right model if you are agnostic or anti-religious. 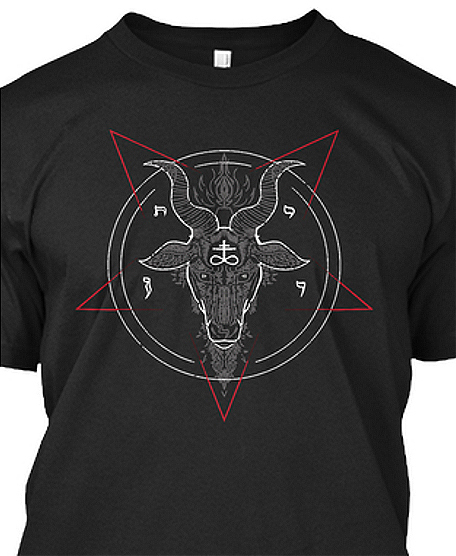 Exceptional design with many satanic icons and sayings on a big logo on the chest. It’s so cool and satanic as hell. Get this remarkable t-shirt and add it to your collection before its too late!